For a long time I dreamed about going to pastry school in France, but this far-fetched dream was always buried in the back of my mind by far more rational, responsible thoughts. Finishing my practical Bachelor of Commerce degree and going on to obtain my Chartered Accountant designation has occupied my mind for the last 5 years or so. These goals have since become accomplishments and while I am proud of these achievements, I was exhausted from a job that I found unfulfilling. I was left feeling unsatisfied both personally and professionally. I was over worked and so stressed that my career started taking a toll on both my health and relationships. I don’t remember exactly when it happened, but at some point I decided that I should no longer be at a job where each day I struggled to force myself to get out of bed. While it became clear that this type of work was just not right for me at this point in my life, I left my firm with the utmost respect for my peers and mentors, and haven’t closed the door on returning to professional accounting later in life. I simply decided that I needed a change for my own well-being, if nothing else. I was terrified to make a huge, potentially life-altering change. But one day, perhaps during a bout of insanity, I decided to apply to FERRANDI l’École Française de Gastronomie for their Intensive Professional Program in French Pastry. FERRANDI is one of the leading pâtisserie schools in France with a reputation that makes it more than a little intimidating. Also, did I mention it is situated right in the middle of Paris? The professional French pastry program involves pastry schooling for 5 months, followed by a 3-6 month internship in Paris. I applied not knowing whether or not I would get in, nor knowing if I was brave enough to actually go if I was in fact accepted. I quickly learned that agave is mostly fructose, which absorbs moisture quickly (hygroscopic). This makes your lollipops gummy and saggy as opposed to hard and shiny. 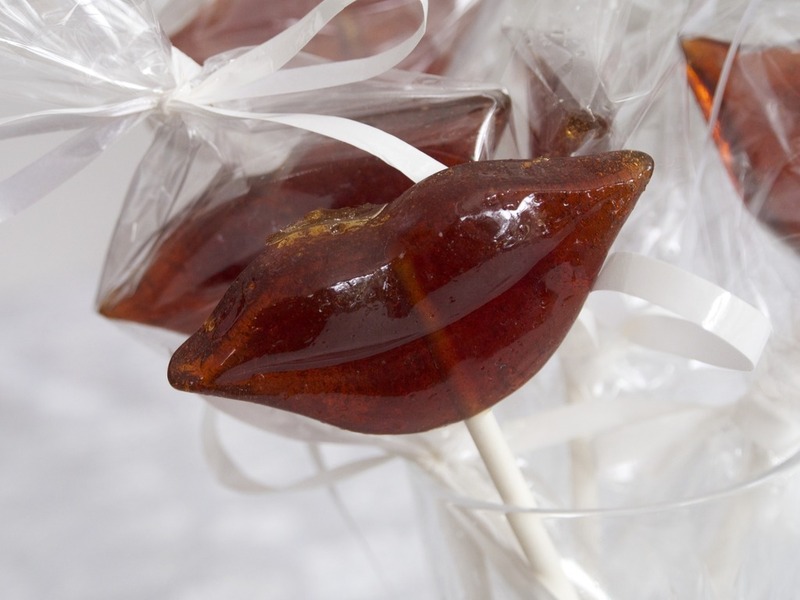 To achieve the perfect lollipops, a mixture of fructose and glucose should be used. For my second attempt, I scrapped the agave and cane sugar, and instead used a mixture of granulated sugar and glucose purchased from a local specialty baking supply shop. 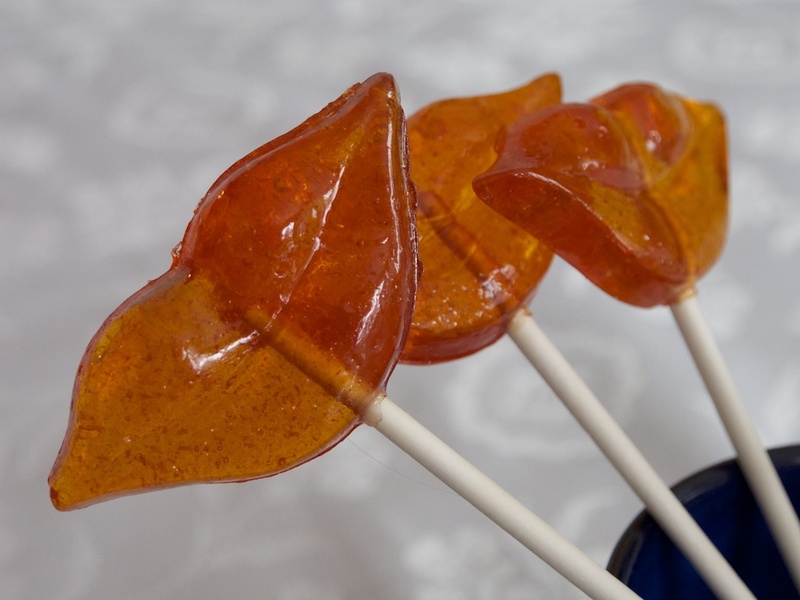 These lollipops turned out perfect and were a hit with the kids. Have a good week, guys! And stay tuned for a post on my first weeks at FERRANDI. Recently, I’ve been on a bit of a cherry craze. I’ve been buying cherries (along with almost every other kind of fruit available) at our local farmers’ market to fully take advantage of the last few, dwindling weeks of summer produce. I have helped my parents pick their overflowing Evans cherry tree, essentially stuffing my freezer full of cherries afterwards. I may have even announced afterwards that we need to buy another freezer (don’t worry – Sean stopped me from making that impulse buy). 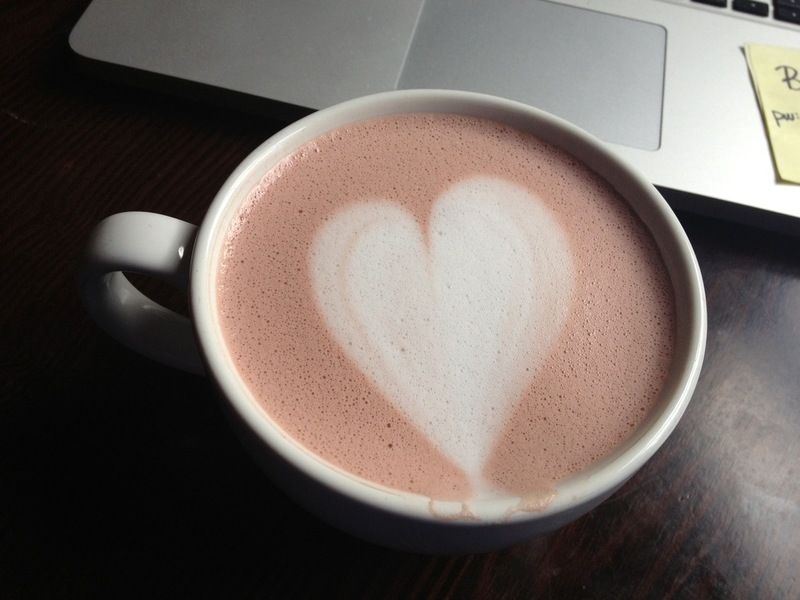 And, I’m currently drinking a chocolate cherry latte courtesy of Roast… mmmm. So overall – cherry overload. Also, since today is the 7th, it is once again time for my monthly post as part of the Canadian Food Experience Project. For those of you who are new to the Canadian Food Experience Project, the series began on June 7, 2013 and involves a collection of monthly articles written by food bloggers, writers and enthusiasts on pre-determined Canadian food topics. The project aims to help us explore and share our Canadian food identity. 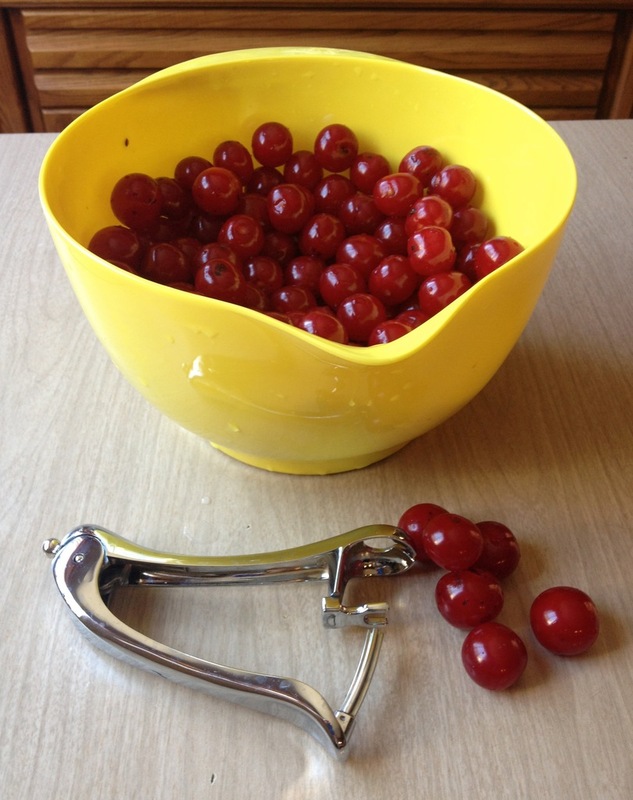 As today’s challenge was to share a cherished Canadian recipe, I thought it would be a perfect time to share what I did with all my Evans cherries. As some of you will know, the Evans cherry is a sour cherry variety which grows on a hardy tree, perfect for withstanding our harsh Alberta climate, making it a very popular regional fruit. It might not have the same look or flavour as the better known Bing cherry, but it is still delicious, tart and perfect for desserts – especially pie. This pie was great – I’ve been having a slice with my lunch everyday since I made it and it never fails to hit the spot. The tart filling goes well with the buttery crust and it would be fantastic with some vanilla ice cream or whipped cream. Now I need to admit that I am very picky about pie crusts – full disclosure! I need the crust to be flaky and sprinkled with sugar. But I refuse to use shortening in my crust to get the flaky effect. First of all, the extreme white colour of shortening creeps me out a little. Second, hydrogenated oils and trans fats are yukky – I want to feel good about what I’m putting in my body regardless of if its a quinoa salad or a slice of pie. And third, nothing beats butter, in my opinion Needless to say, I am a butter purist when it comes to baking. 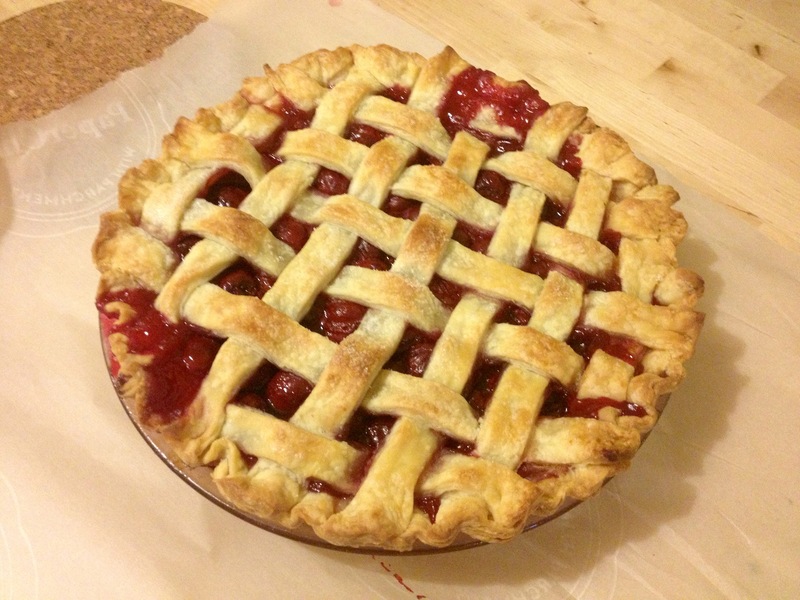 So… I use this wonderful recipe from Smitten Kitchen for pie crusts. Deb also provides some great tips on making pie dough for those who may be attempting their first pie here and here. For the filling, I used the recipe below. 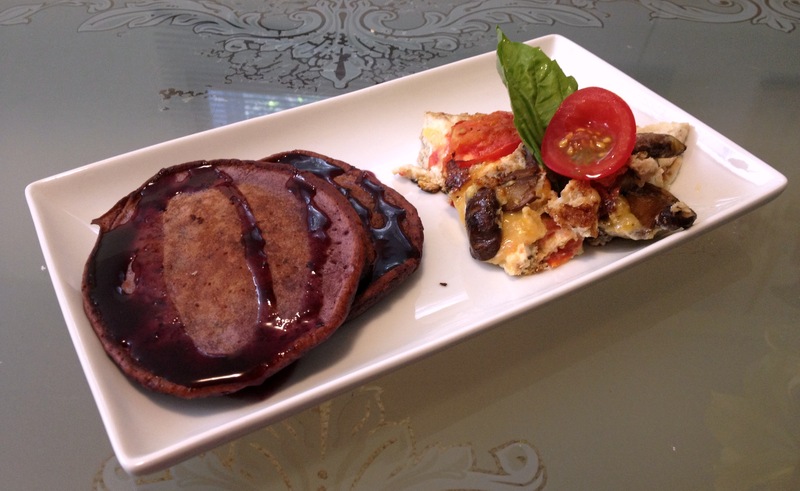 It is really easy to throw together and has few ingredients since the cherry flavour stands out well all on its own. 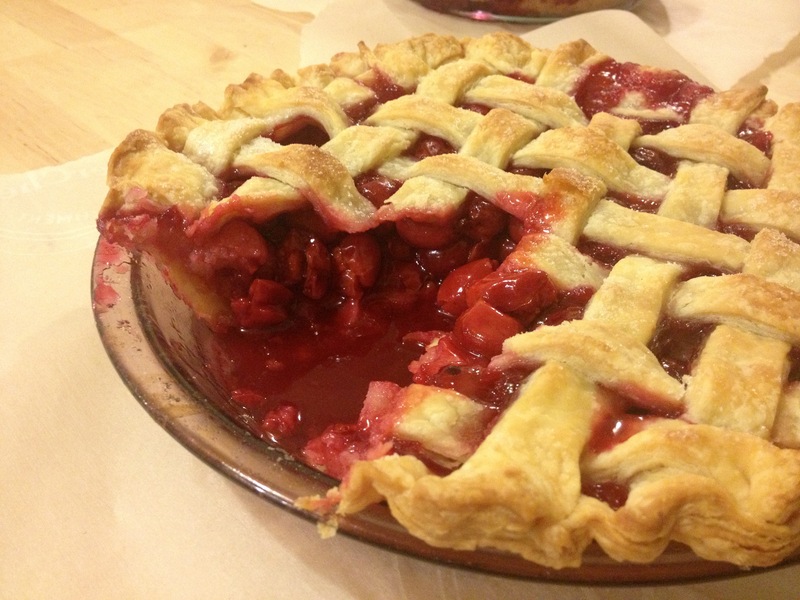 So, if you have a cherry surplus in your freezer too, make a pie. You won’t be disappointed. Combine sugar, cornstarch and salt in a large bowl. 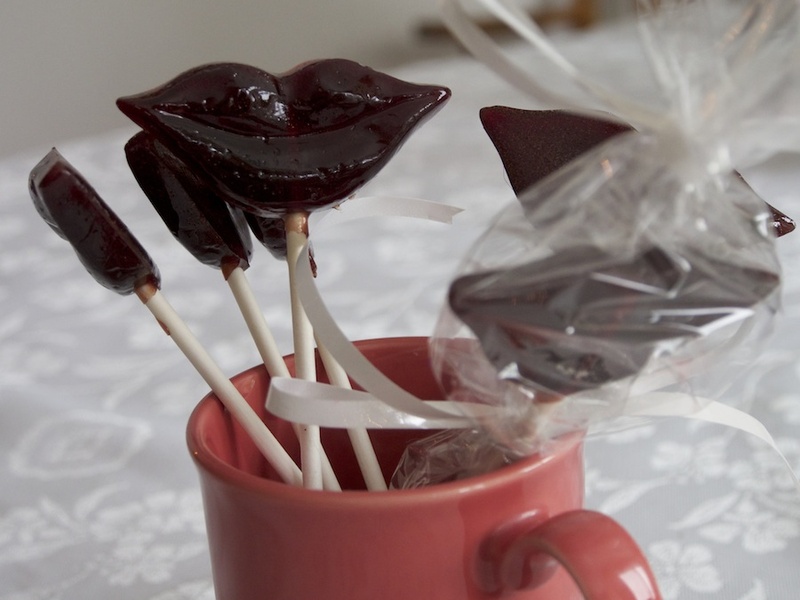 Mix in cherries, lemon juice and vanilla extract. Stir carefully until evenly mixed. Use mixture to fill prepared pie crust. As today is the 7th, its time for my monthly post as part of the Canadian Food Experience Project. For those of you who read last month’s topic… you will recall it was all about the past with recollections of first authentic Canadian food memories. The challenge for July was to explore a regional Canadian food. For those of you who are new to the Canadian Food Experience Project, the project began on June 7, 2013 and involves a collection of monthly articles written by food bloggers, writers and enthusiasts on pre-determined Canadian food topics. The project aims to help us explore and share our Canadian food identity. 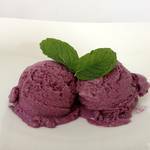 When I was thinking about what regional foods or ingredients I would work with for the challenge, the Saskatoon berry just seemed like an obvious choice. These sweet berries are native to the prairies (along with British Columbia and some of the Northern United States), having been used by Native Americans for food and medicinal purposes centuries ago. While they can be easily mistaken for blueberries in appearance, Saskatoon berries have a fairly different flavour – still sweet like the blueberry, they also have a bit of tartness and a drier, less juicy feel. We can’t generally buy these berries at nearby grocery stores, but they are locally available in the wild or can be harvested at local U-Picks. It is definitely not uncommon to see Saskatoon berries used in pies or tarts in Alberta and, to me, they are a perfect representation of regional cuisine. While Saskatoon pie is delicious, and I would never turn down a slice, I wanted to make something a bit different to showcase the flavour of this regional berry. 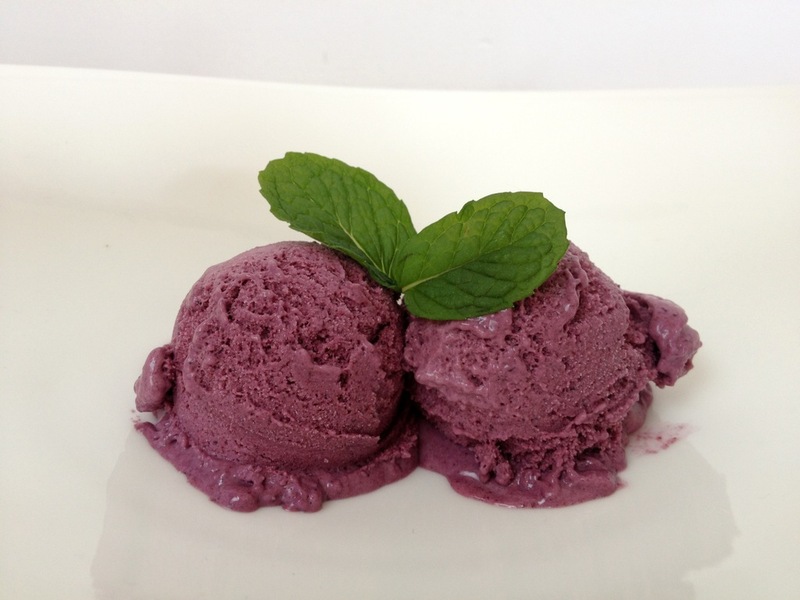 I pulled out the ice cream machine and a few hours later we had Saskatoon berry ice cream! The ice cream recipe was inspired by a few of the recipes in The Perfect Scoop by David Lebovitz – this man in amazing and I love to live vicariously through his food adventures. Also, I know that not everyone has an ice cream maker just sitting around at home, but to be honest, a simple, quality machine can be purchased at a reasonable price and is a great investment if you’re looking to make frozen desserts at home. Ours is by no means fancy, but it does the job, churns the ice cream and yields delicious creamy desserts. (I dream of one day upgrading to a professional machine.) The recipe for the ice cream itself was quite simple. The most frustrating and time consuming part was straining the berry puree through a fine sieve to make sure our ice cream was as smooth as possible. While this is by no means necessary, you won’t regret spending the extra time straining the puree when you’re enjoying flawlessly smooth and creamy scoops of ice cream. In terms of taste, I couldn’t have been happier with this ice cream. 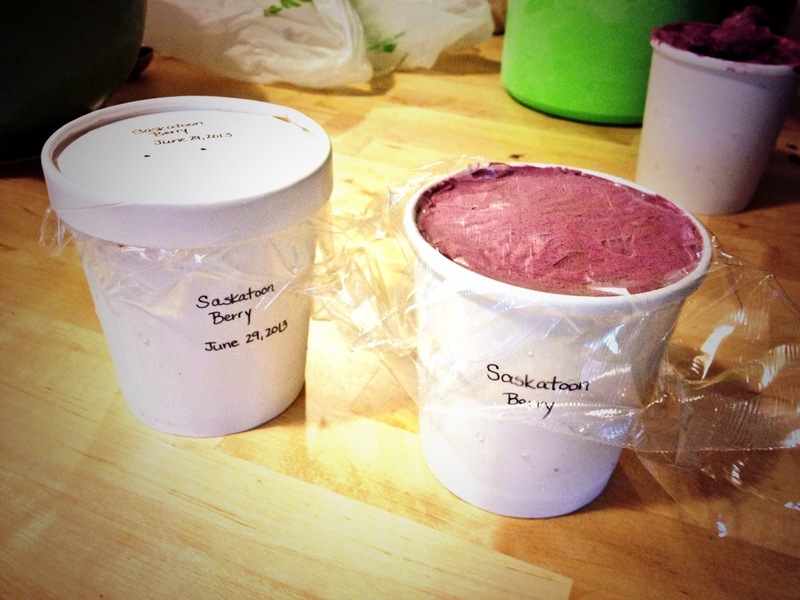 The Saskatoon berry flavour came through really well and the bright, natural colour was a plus. If you haven’t made ice cream before, make sure to read through the steps carefully. It may help to have your ice bath ready when you are making the ice cream. Make sure to chill your cream mixture in the refrigerator thoroughly before churning. This will help create the creamy taste we love so much in ice cream. As with most homemade ice creams, this dessert was very rich and you really need only a small scoop or two to be satisfied – so good. The dimensions below will yield more berry puree than you will require for the ice cream. You can use the remaining puree in smoothies or add to pancake batter for a regionally-inspired breakfast. Enjoy! Combine the Saskatoon berries and 3/4 cups sugar in a large saucepan. Add a splash of water and cook over low-medium heat for about 15 minutes or until berries are breaking up and soft. You can assist the process by stirring with a wooden spoon and breaking up the berries against the side of the saucepan. If the mixture becomes too thick, you can add a bit more water but be careful not to dilute the flavourful puree too much. Once cooked, transfer the puree to a blender and blend until smooth. Then strain the mixture through a fine, mesh strainer. Reserve 1.5 cups of the strained puree. The rest can be set aside for other uses. Pour the whipping cream into a large bowl and place a strainer over top. Set aside. 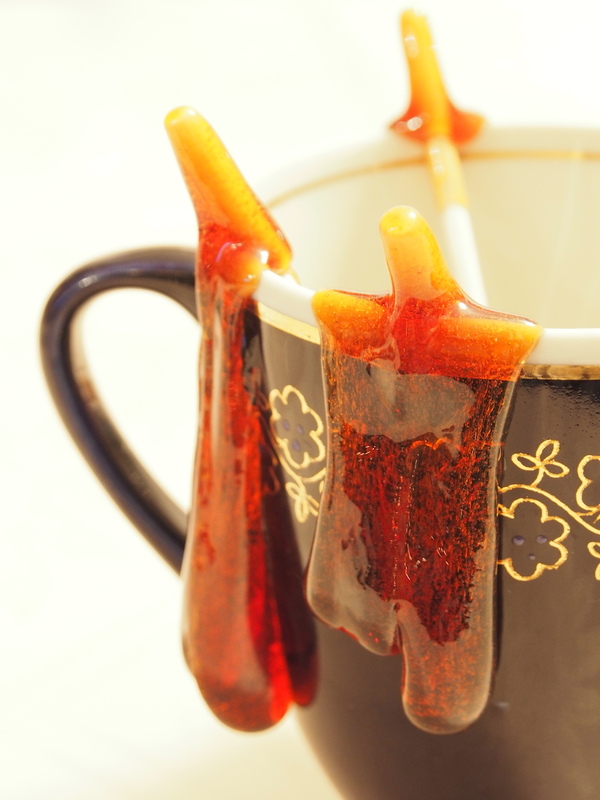 Warm the half and half and the 1/2 cups of sugar in a medium saucepan. In a separate bowl, whisk the egg yolks. Slowly add the warmed half and half mixture to the egg yolks, adding a little at a time and whisking constantly until fully incorporated. This will allow the eggs to temper and not cook. Return this mixture back to the saucepan. Cook the mixture over low-medium heat, stirring and scraping the bottom and sides of the pan as you cook. Cook the mixture until it thickens to a custard consistency and coats the back of your spoon. Pour the thickened mixture through the sieve, into the prepared whipping cream. Add in the Saskatoon berry puree and the lemon juice. Stir to combine and transfer to an ice bath to chill, stirring occasionally. Once chilled in the ice bath, refrigerate the mixture for at least 4 hours or overnight before churning in your ice cream machine. Churn the mixture according to your ice cream machine instructions. 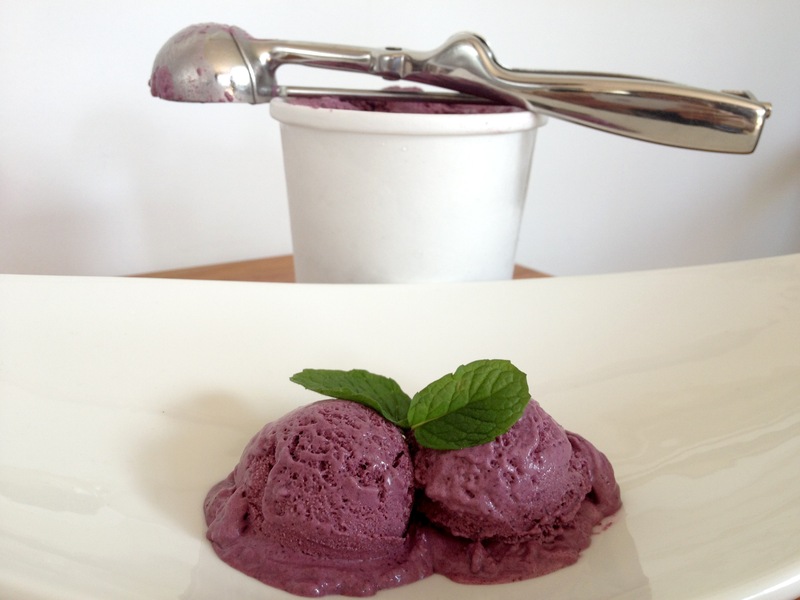 Enjoy after churning or package for a bit of time in the freezer before enjoying. I don’t know about you guys but I love making unusual desserts. I’m not saying I have anything against the classics… but sometimes I just get the urge to try something new. Strawberry soup with dessert caviar seemed the like the perfect, unique creation to try out. 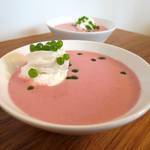 This strawberry soup recipe is from Sprinkle Bakes. Heather’s blog constantly inspires me and I find myself with an ever-growing list of her recipes that I can’t wait to try. 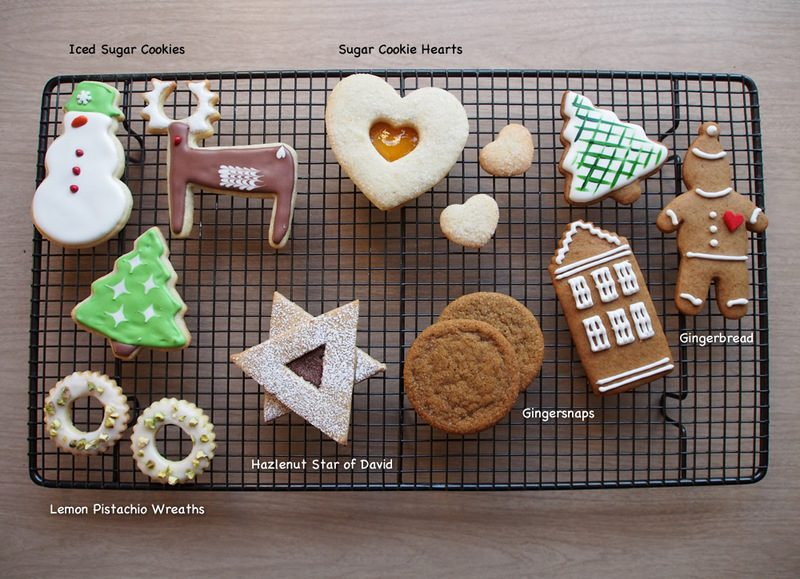 They are not only delicious but also artistic and creative. 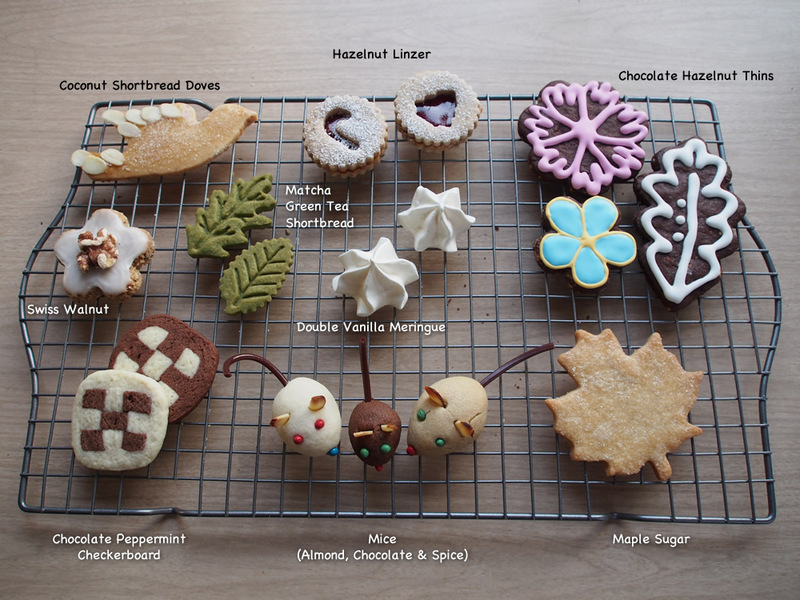 If you love baking with an artistic flare, check out her site. Anyways, back to the soup! It’s an excellent dessert for summer when you’re not thrilled at the prospects of spending a day slaving away in an overheated kitchen. The soup is very easy to put together and can be made ahead of time. 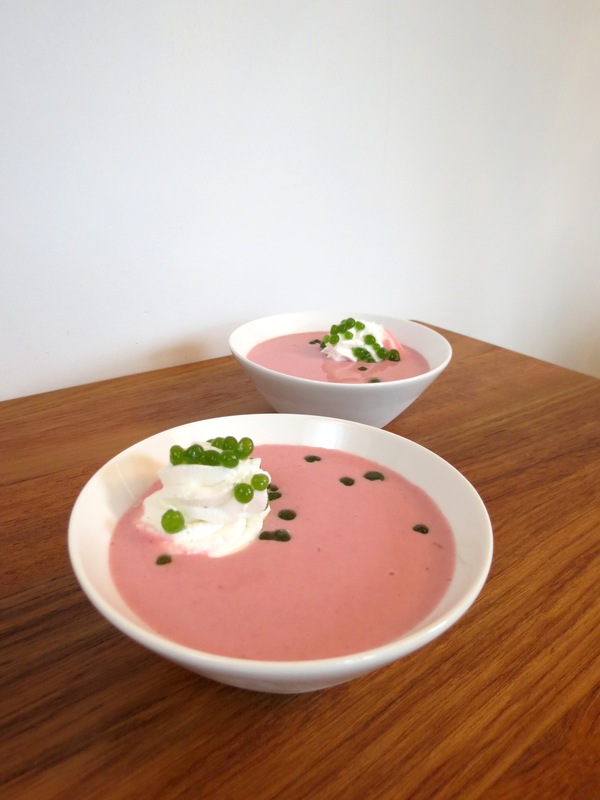 I used farm-grown strawberries in my soup which were so sweet and flavourful (not like those tasteless grocery store berries we’re used to seeing throughout the winter – bleh!). Since the strawberries were so sweet, I cut the sugar in half which resulted in a more refreshing summer dessert. Feel free to add the full amount of sugar or add sugar to taste. Ok so another reason why I was so keen to try this recipe is because of the dessert caviar garnish. I’ve been meaning to play around with dessert caviar for a while now but was a little intimidated by the process. However, my dessert caviar was a total success! 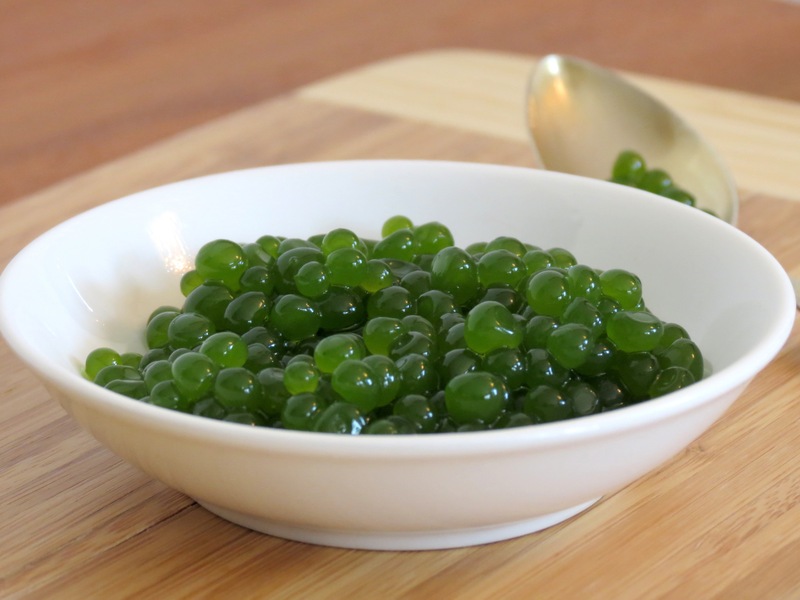 Dessert caviar is made by first creating a very flavourful liquid, combining it with gelatin and slowly adding drops of this liquid into a very cold volume of chilled oil. As the gelatinous mixture makes contact with the cold oil, it forms perfect spheres. 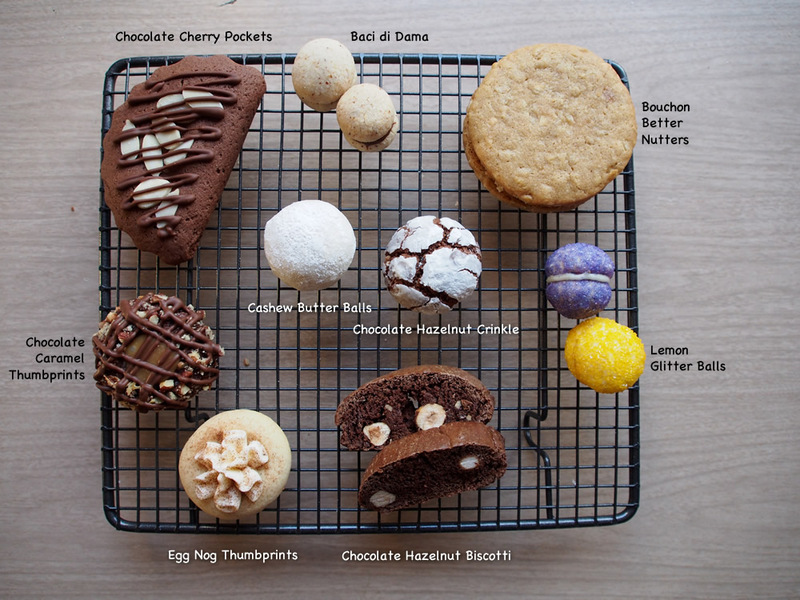 You can find a fantastic step-by-step tutorial on Sprinkle Bakes on how to make dessert caviar. Surprisingly, the process was quite simple. 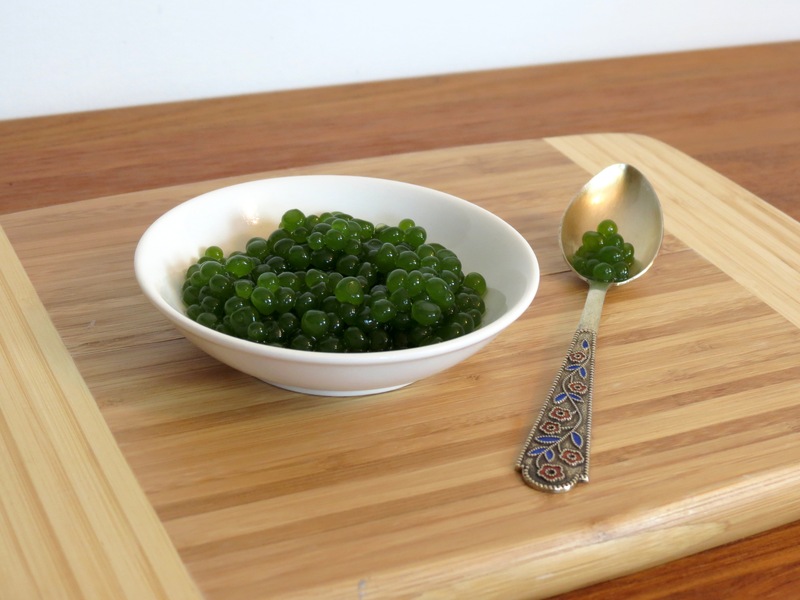 I love the idea of using dessert caviar as a garnish since your flavour possibilities are endless. 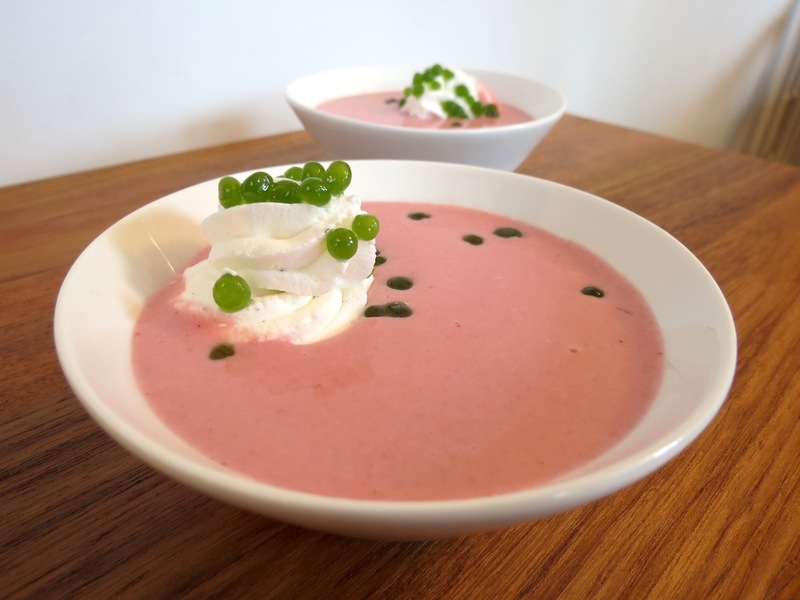 For the strawberry soup, I decided to go with a basil dessert caviar. I picked up some amazing Thai basil from Gull Valley Greenhouses at my local farmer’s market – it made for a very tasty and fresh dessert caviar. To make the liquid for the basil caviar see below. Along with the caviar, you can garnish your soup with whipped cream or fresh basil. Bring water and sugar to a simmer in a small saucepan, mixing to dissolve sugar. Remove from heat and add in basil leaves. Mix to combine. Transfer the mixture to a blender and blend until smooth. Strain mixture through a fine mesh strainer. Use the strained basil syrup and proceed using the Sprinkle Bakes tutorial. 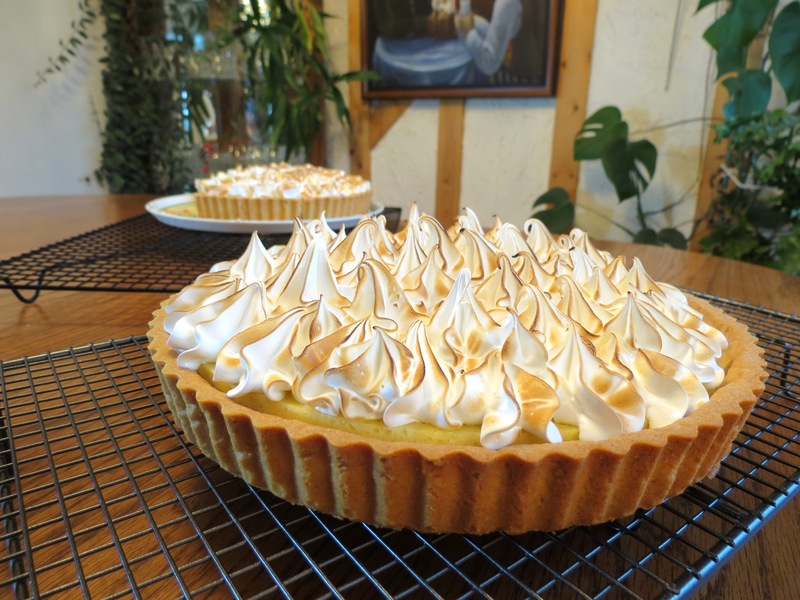 First I decided to experiment with the lemon meringue tarts I had made a few months earlier, tweeking the recipe a bit. I stuck with the amazing pâte sucrée tart crust recipe I used last time (from the Bouchon Bakery book). This tart crust is perfect – crisp, rich and sweet (perfect for pairing with citrus fruits). The dough is made using a “fraisage” technique which essentially involves smearing the dough with the heel of your hand. 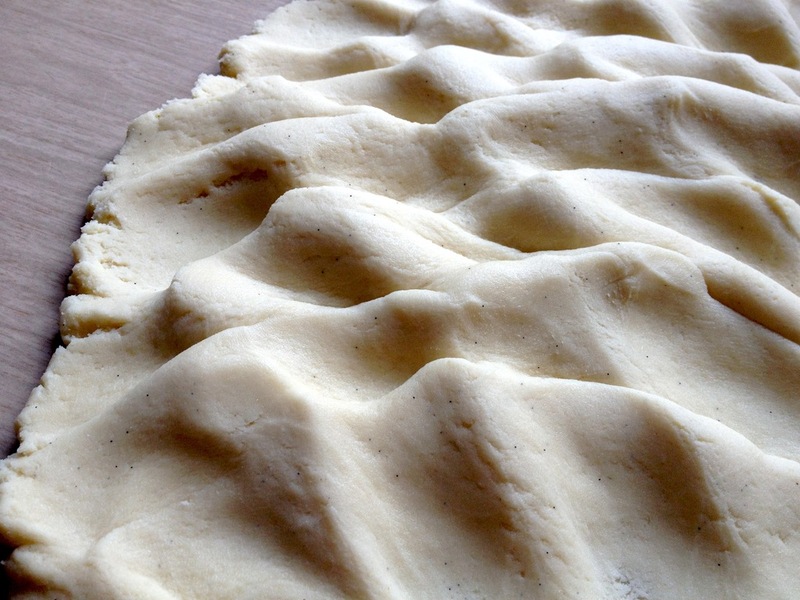 This yields a dough which is incredibly well mixed and makes the tart less prone to cracking. Next, instead of sticking with the traditional lemon meringue tarts, I decided to spice things up and make grapefruit ginger meringue tarts. Grapefruit curd gave the filling a strong tart flavour which paired well with the sweet meringue. I added fresh ginger juice (thank goodness for our juicer which made the job way easier!) to give the curd a bit of a kick. 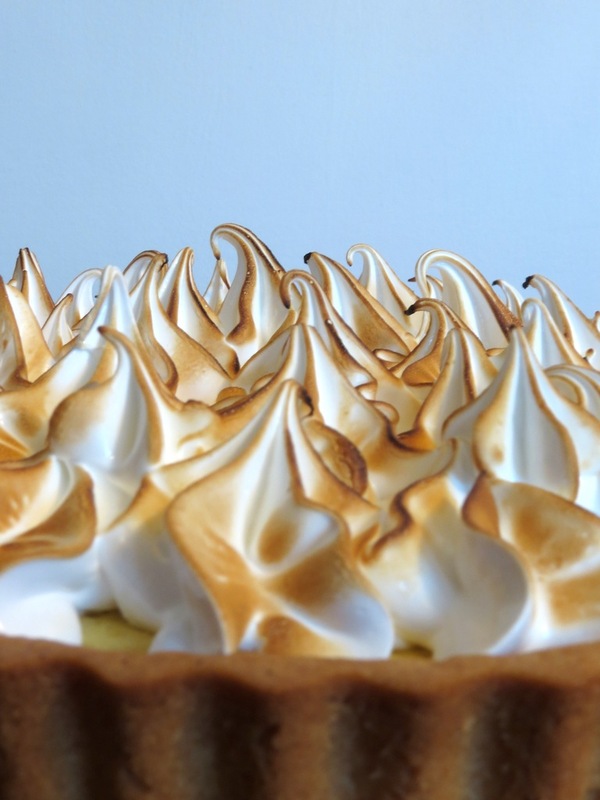 Overall, the tarts were tasty, just as beautiful as last time and a great alternative for when you aren’t in the mood for traditional lemon meringue. Baking professionally involves waking up at crazy hours and often working through the night. I arrived from my shift just before 3am and worked until about 9am! This is something we often forget as at home bakers and definitely something we should appreciate when we’re picking up our fresh bread first thing in the morning. Baking is incredibly demanding physically. Bakers often lose a lot of weight when they start working in their trade which is not surprising considering how much physical labour is involved. You are constantly using your body to lift heavy items, work with huge mixers and knead countless loaves of bread. Overall, as an avid baker, I loved the opportunity to get a behind the scenes look at how the professionals do it. 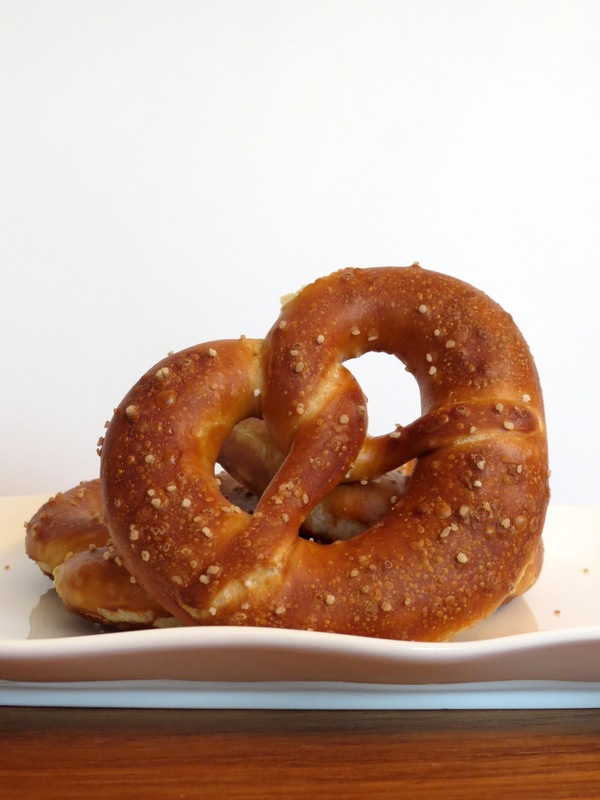 And I got to take away these pretzels that we made that night. 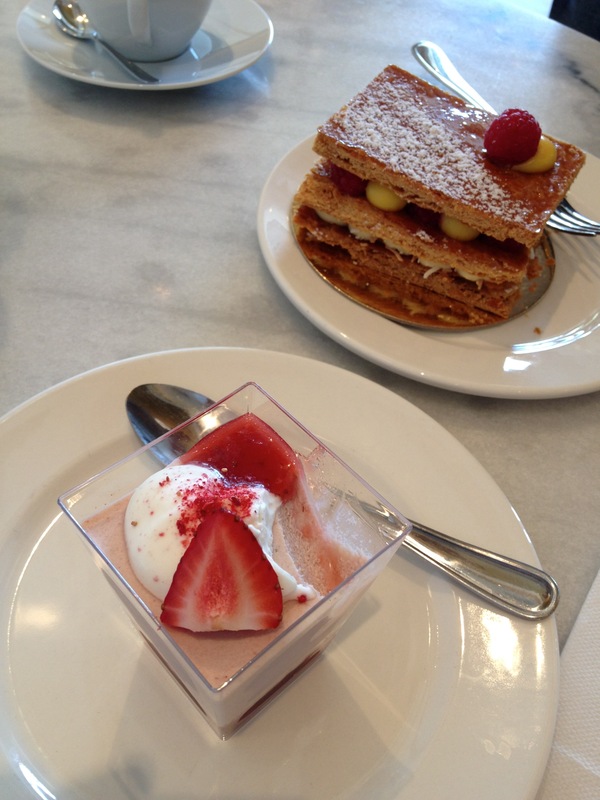 Lastly, I ended my week off with a date with Sean at Duchess Bake Shop. I know I always gush about how awesome this place is… but its hands down my favourite place to acquire dessert in the city. We’ve seen some new desserts there lately which appear to be summer-inspired like this delicious strawberry mousse we scarfed down. If you haven’t been to Duchess and are in the Edmonton area, definitely make your way over for an unforgettable treat. Hope you guys are all inspired to take a stay-cation now. Having lived in Israel for three years while I was growing up, I love love love falafel! Sadly, though, I am often disappointed with the quality of falafel in Edmonton and have yet to find a falafel which I deem worthy (if you guys have a place you love, let me know!). Naturally, when I saw this pistachio falafel recipe posted on Sprouted Kitchen, I was intrigued. It’s been on my “to-try” list ever since and I was happy to have the chance to cross it off recently. 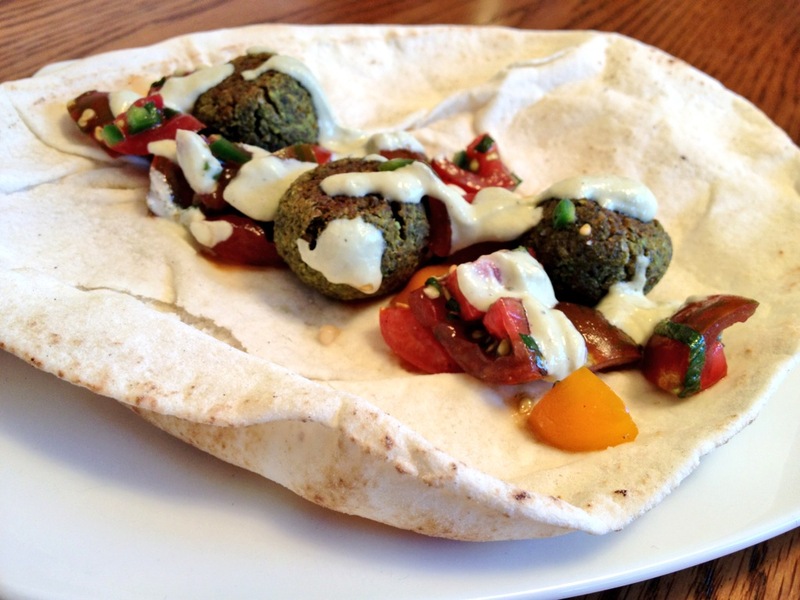 Like everything on Sprouted Kitchen, the falafel was fresh and healthy. While the ingredient list is a bit longer, most of the items you likely already have at home. Plus, the falafel is so easy to put together since the food processor does most of the work for you. I loved all the herbs which were used in the recipe (fresh mint and cilantro really made a huge difference) as well as the addition of pistachios to the classic chickpea recipe. I made the tomato salsa and tahini sauce that Sara recommended and I totally loved the falafel (as did Sean). It was definitely better than any falalfel I have tried in Edmonton and next time I will double the recipe and freeze the leftovers. So good! First of all, let me just say that I am awful at estimating how much kale there is in one bunch at the store. I definitely purchased way too much and after making this salad twice, the fridge is still packed with kale. I will need to make kale chips soon to use up the rest…. That being said, this salad is great! 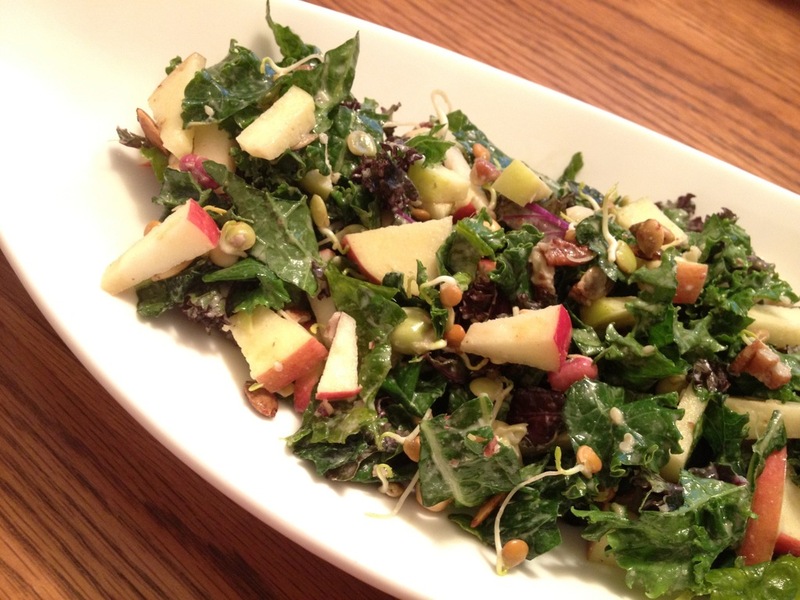 I made it with three different types of kale (lacinato, redbor kale and curly kale), crisp apples from the farmer’s market, assorted sprouts and nuts (pecans, sesame seeds, pumpkin seeds). The dressing is made with tahini, miso (not the actual miso paste but the broth made from it – you can find it at Asian supermarkets) and orange juice (I substituted grapefruit which worked great). The salad dressing instructions involve adding a lot of ingredients to taste: vinegar, lemon juice and oil. Like Tara said, the dressing should make you want to “smack your lips” so just play with it until the dressing tastes delicious and you want to lick it off the spoon. I loved how hearty this salad was – since kale is such a sturdy green, you can easily make it the night before and take it for lunch at work. If you want to make the meal more substantial, you can add grilled chicken or salmon on top. I’ve always had a soft spot in my heart (and stomach) for potato pancakes so these veggie pancakes seemed like the next logical step. 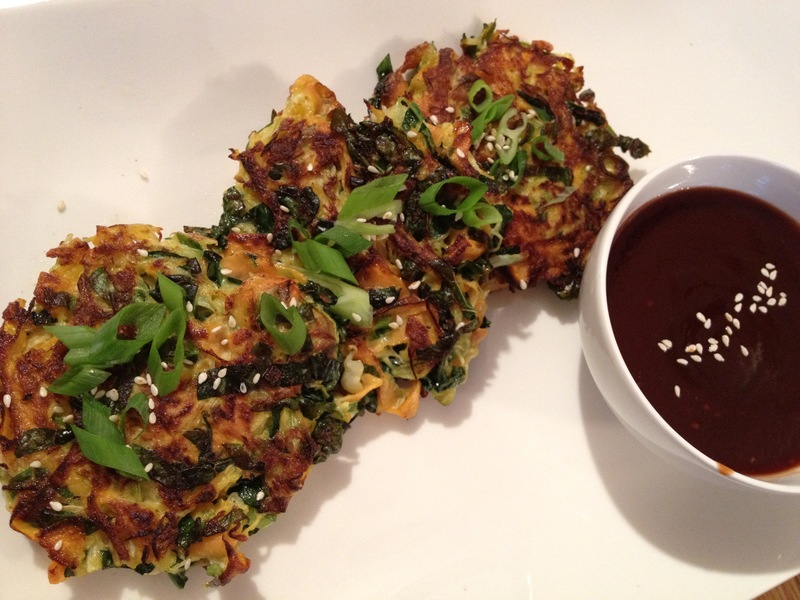 They are made with cabbage, carrots, kale and green onions. They are easy to make, freeze well and would make a great appetizer or dinner. Next time, though, I would use fewer eggs (this may be only because we use farm eggs at my house and they are often much larger than store-bought eggs). Also, instead of serving these with the tangy sauce, I would like to see them paired with a sauce with stronger Asian flavours – ginger, sesame or peanut? 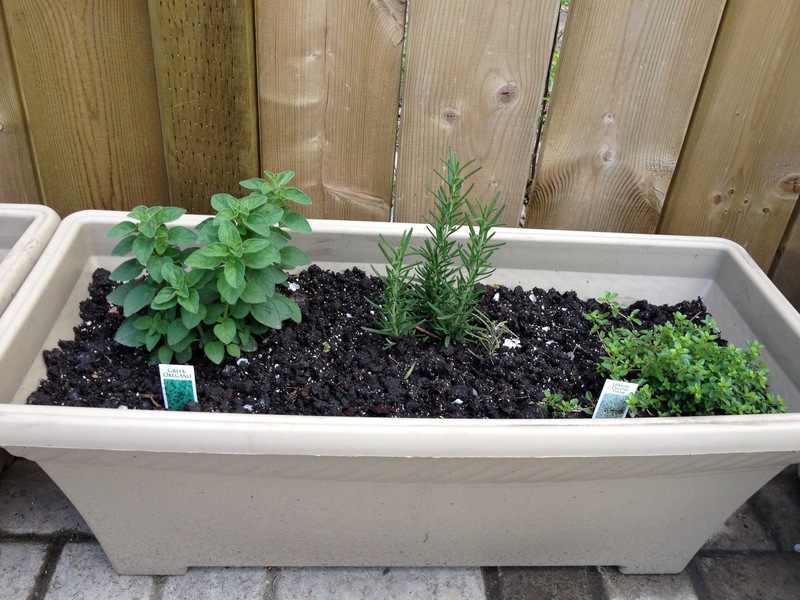 I took advantage of the good weather during my time off to start our herb garden. Most of my seedlings were purchased from local farmer’s markets and greenhouses. I always try to purchase seedlings which haven’t been treated with any artificial fertilizers or pesticides since I will be using the herbs to cook with. Along with using them in cooking, I also use fresh herbs to make flavoured water throughout the summer. It’s so easy to make a big pitcher of delicious water (such as blackberry-sage or strawberry-basil) and it really encourages you to stay well-hydrated. Alright guys, since this post is getting a little lengthly, I’m going to cut it off here and I’ll resume next time with some of the sweet things I enjoyed on my week off. This week I’m on vacation and let me tell you, it is glorious! I decided to just stay in Edmonton and use the time to relax and catch up on life. It’s my first stay-cation and I’m loving it! There has been a lot of cooking, gardening and yoga so far. I started the week off by making a batch of healthy chia pudding for breakfasts. 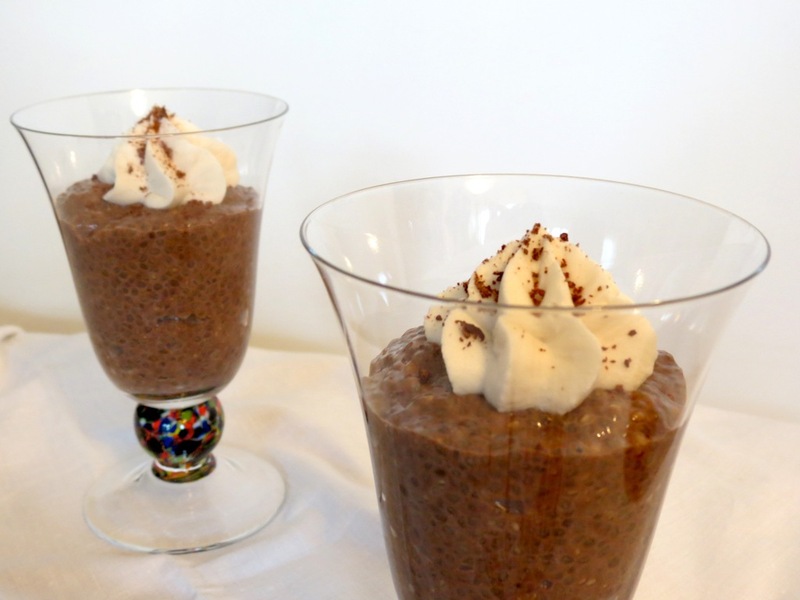 Yes, that’s right – a pudding made of the same seeds that brought you the Chia Pet! Chia seeds have some great health benefits. 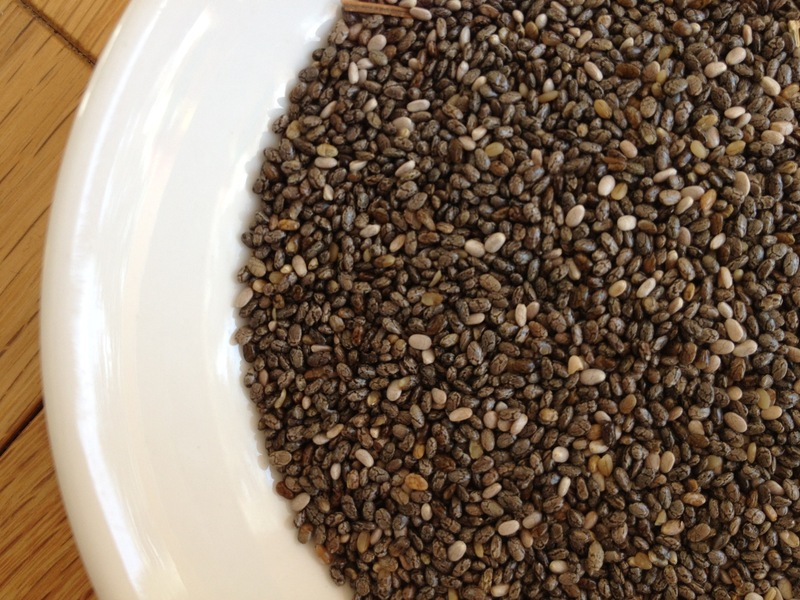 I’m not a nutritionalist by any means but have heard that Chia seeds are high in fibre, protein, Omega 3 fatty acids, calcium, potassium, etc. They are easy to sneak into your diet by adding to smoothies, sprinkling on oatmeal or adding to juice or water. 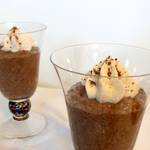 Or you can make chia pudding! To make the pudding, you simply combine the chia seeds with the milk of your choice (I used cow milk but almond or soy would work great too), add sweetener and any flavourings you like such as cocoa and vanilla. Stir well and let sit overnight in the fridge to thicken. I like to use a large mason jar so I can shake it up easily. I served my chia pudding with coconut whipped cream which was both as delicious and easy to make as Angela from Oh She Glows promised. If served for dessert, you can sprinkle with chocolate shavings too. The pudding is chocolatey and will satisfy your sweet tooth while still being incredibly healthy. You can tailor the consistency and sweetness to your own tastes by adding more or less milk and sweetener. However, this pudding will not have the consistency of a typical pudding. Some people love the consistency right away and others find it a bit strange and an acquired taste. Either way, I think it’s definitely worth a try! 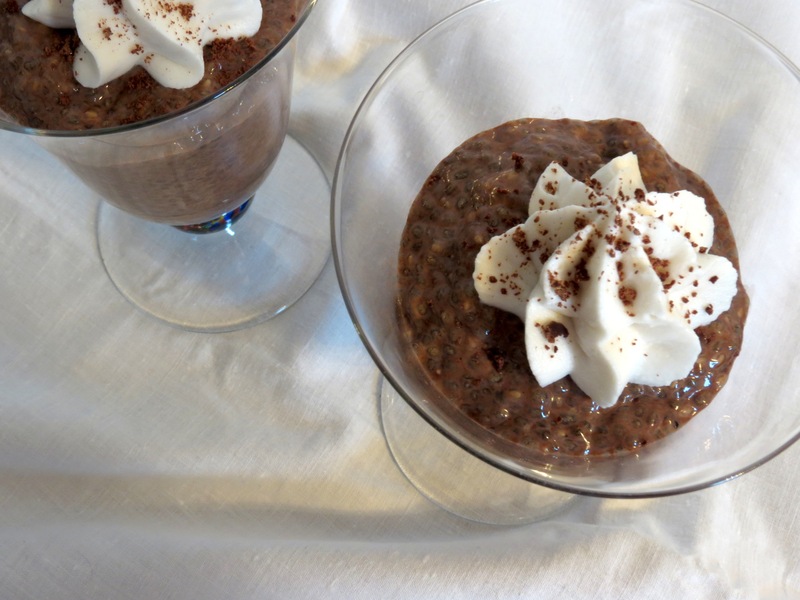 Combine chia seeds, coconut sugar and cocoa in a medium bowl and mix together. Use the back of the spoon to blend, making sure there are no cocoa clumps left. Combine chia seed mixture with milk in a large bowl or mason jar. Add vanilla extract and mix thoroughly. Cover and allow to sit overnight in the fridge to thicken. Serve with whipped coconut cream, chocolate shavings or fresh fruit.